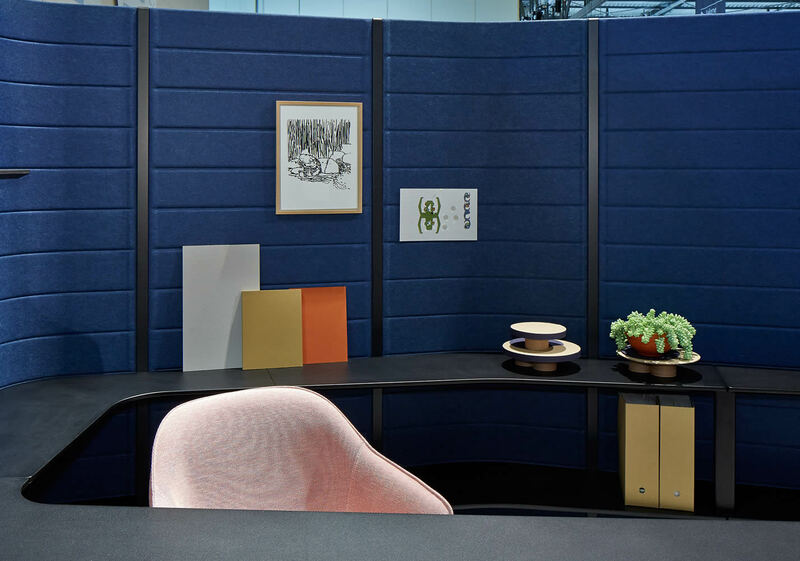 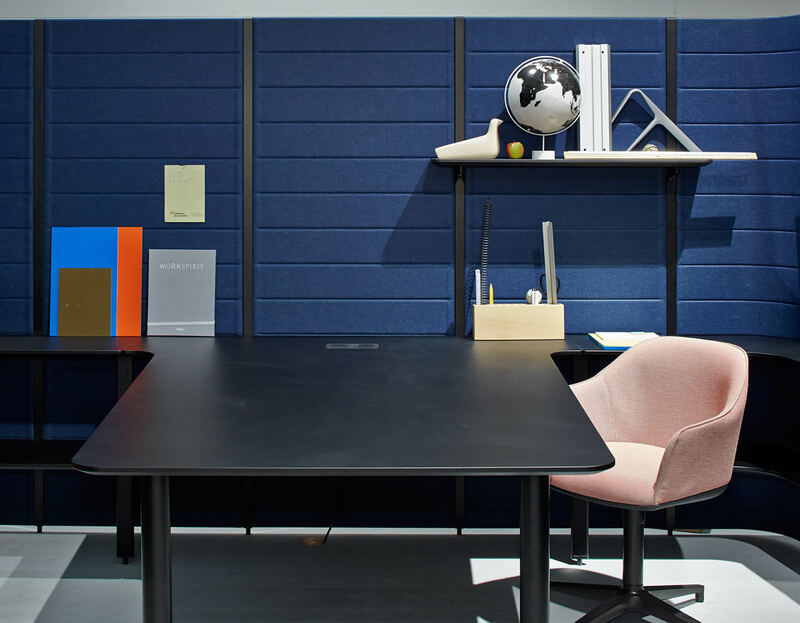 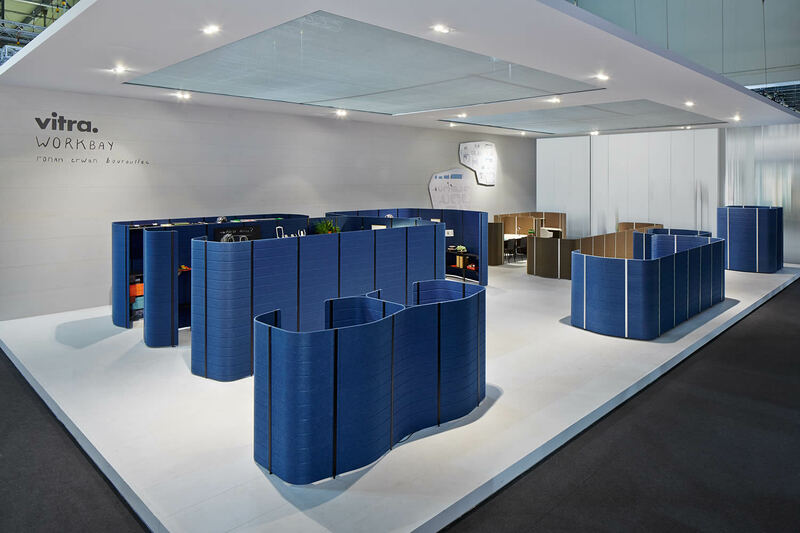 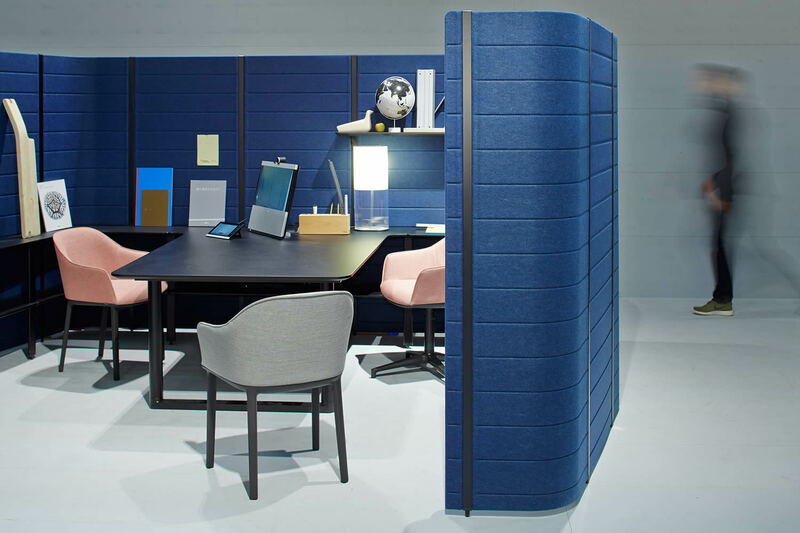 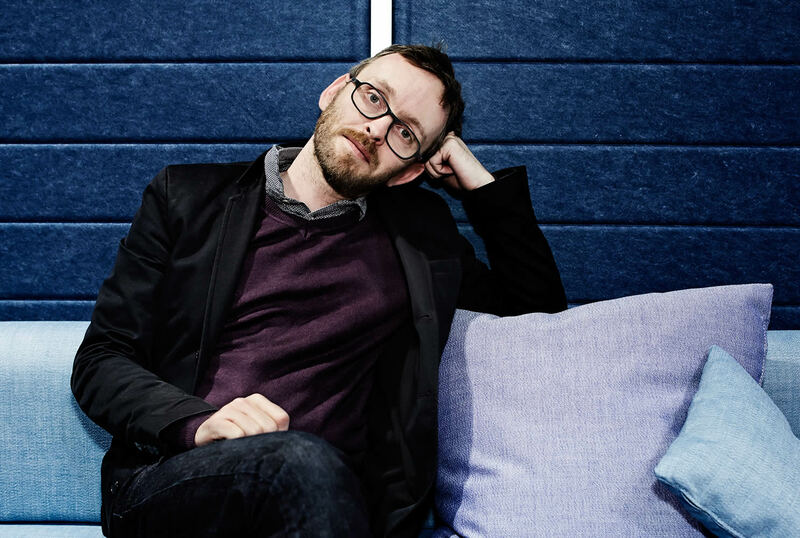 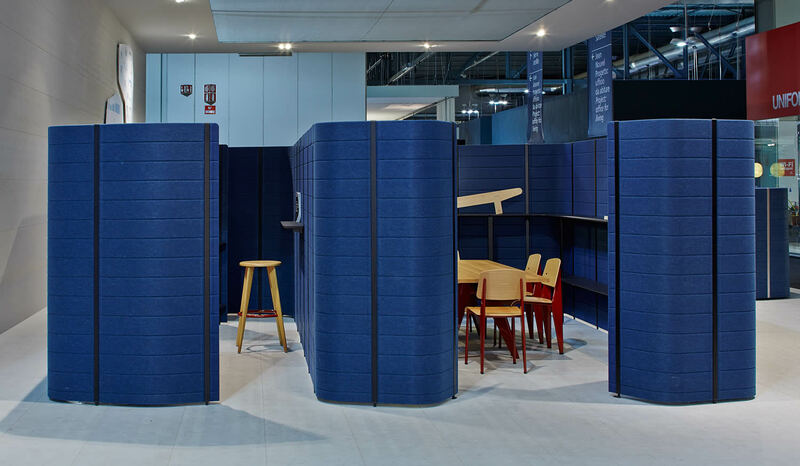 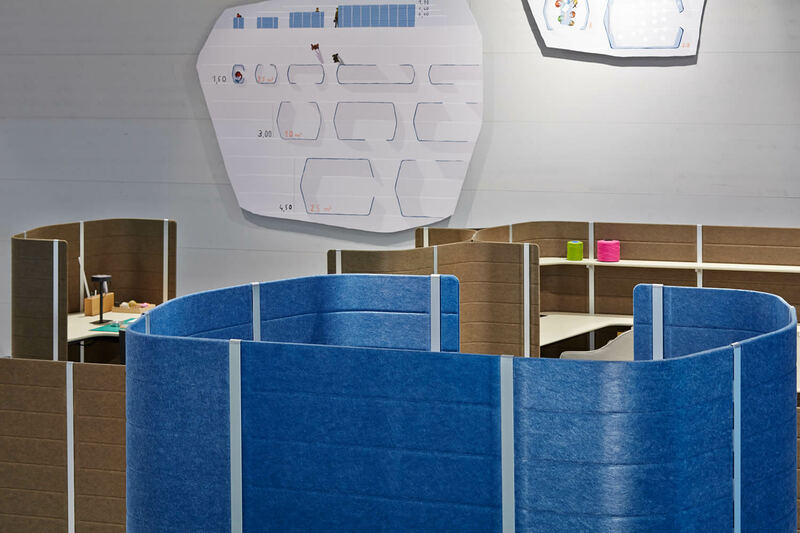 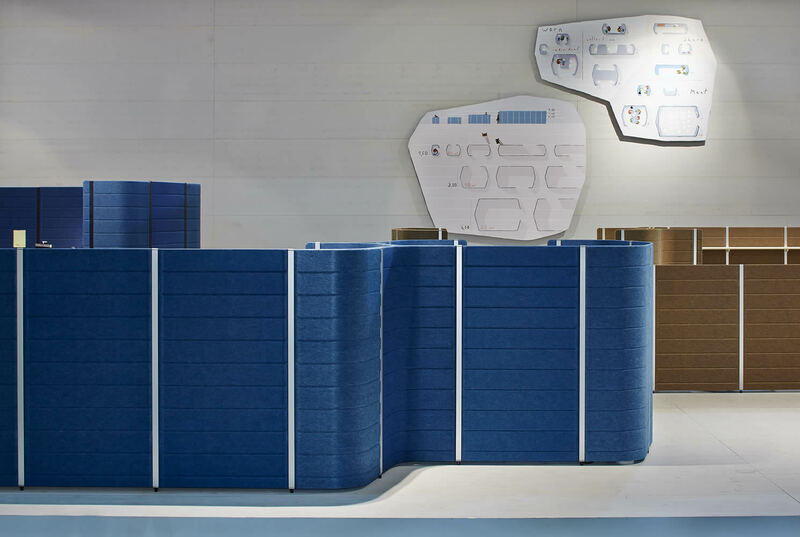 "With the Workbay Office, Ronan and Erwan Bouroullec demonstrate how a simple system consisting of fleece walls and horizontal levels can create an entire work environment which meets current requirements and yet creates an entirely new space and atmosphere. 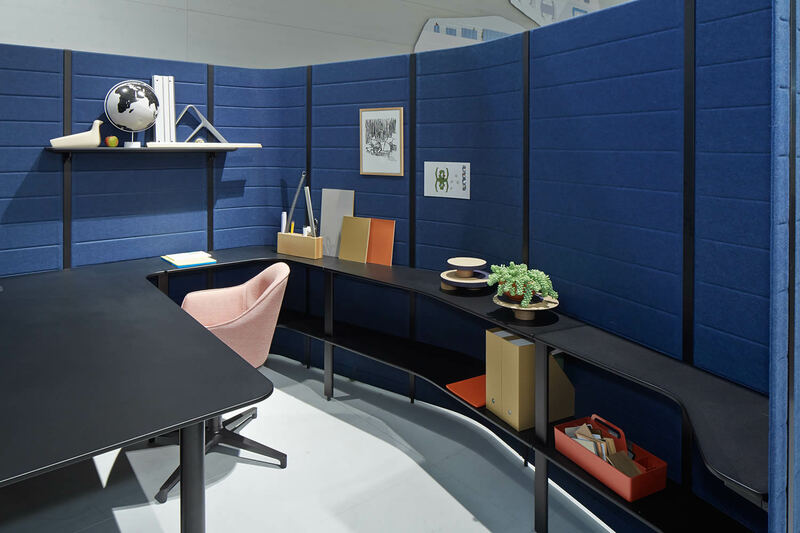 With Workbays, Ronan and Erwan Bouroullec have developed an organic system made up of fleece walls and aluminium profiles, which breaks with the rigid planning frameworks of offices. 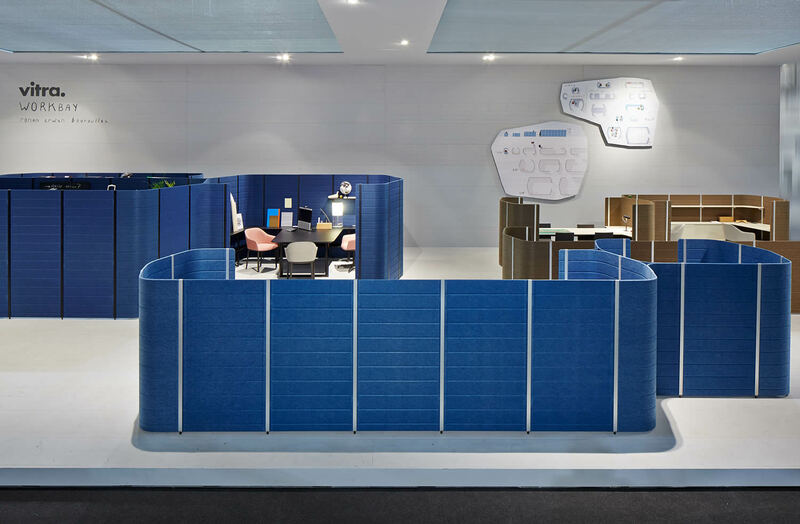 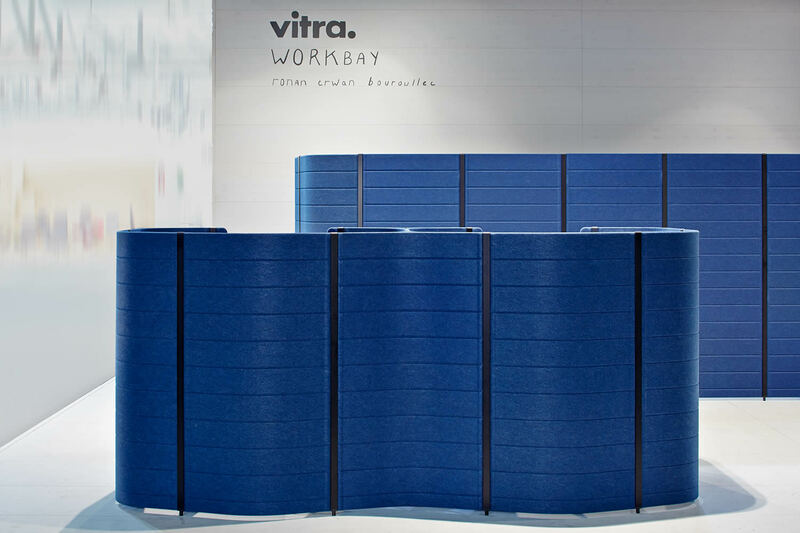 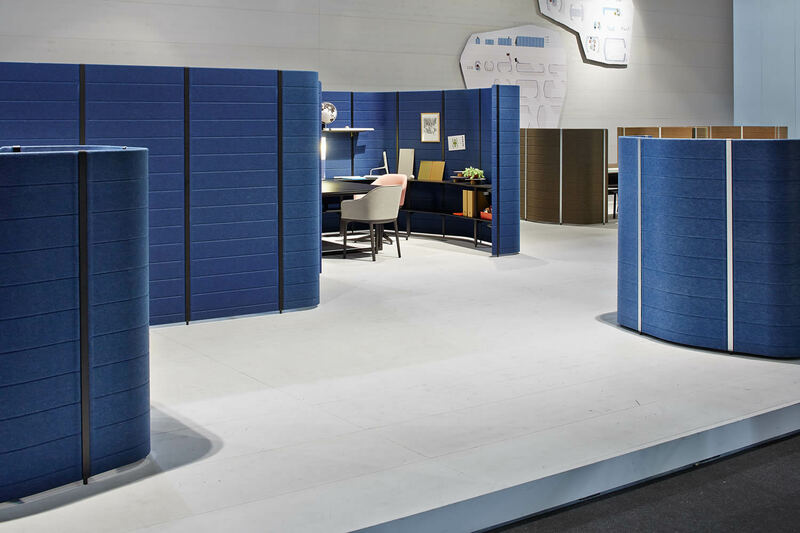 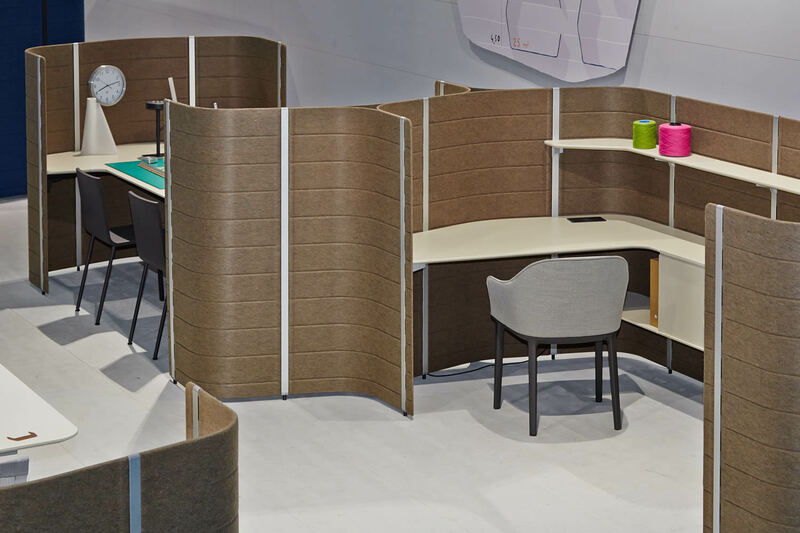 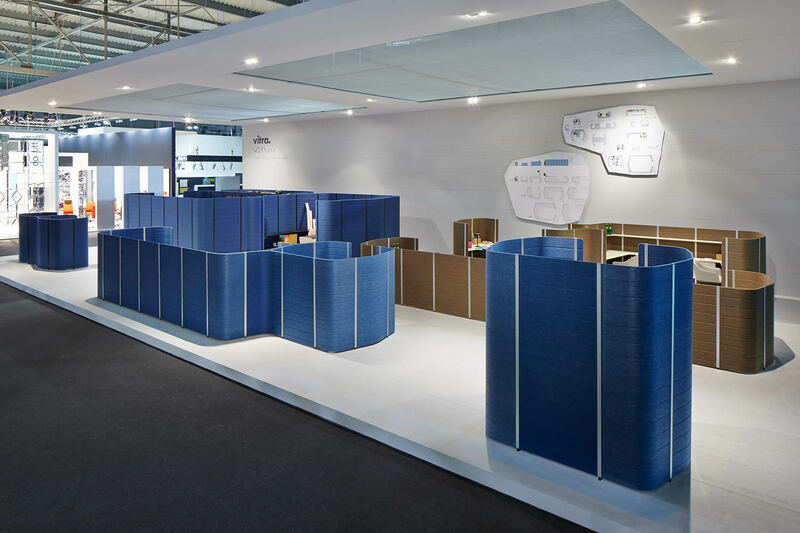 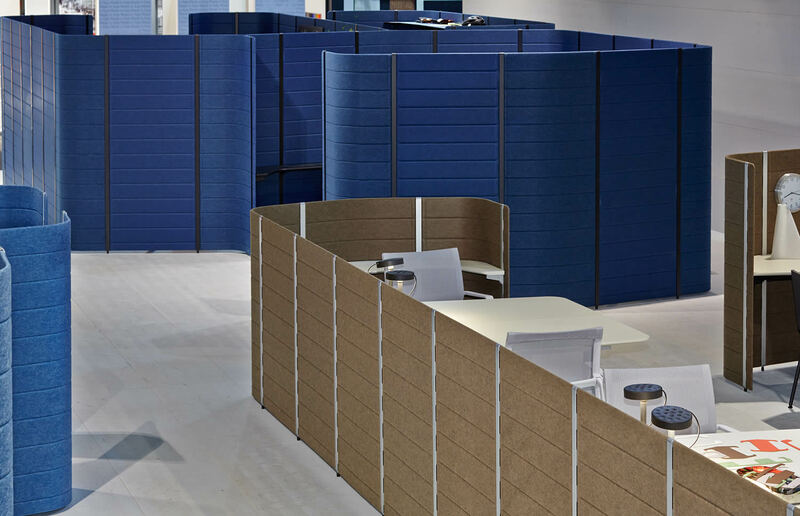 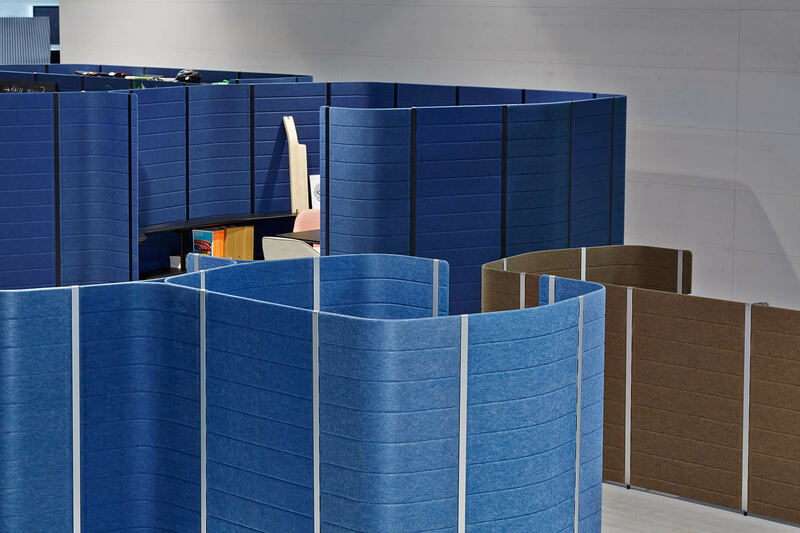 Freestanding, compact modules offer visually and acoustically screened-off places to retreat to and provide atmospherically rich meeting situations for up to four people.